Cathy McMorris Rodgers says of Republicans: \"I don\'t believe we need to be moderate. But I do believe we need to modernize.\"
Want to measure the pulse of Republican Party leaders? Talk to Rep. Cathy McMorris Rodgers. Last year, McMorris Rodgers became the fourth-ranking house Republican, tasked with communicating the party’s message to voters. Those party leaders, however, face some big challenges, including recent electoral defeat, rejection from female and minority voters, and internal defiance from conservatives like Idaho Rep. Raul Labrador. 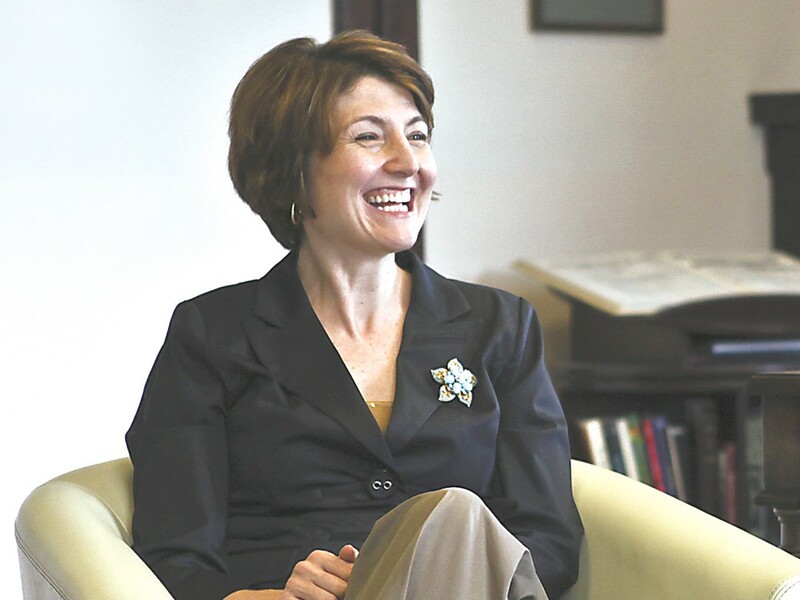 McMorris Rodgers sat down last Thursday with The Inlander for a wide-ranging discussion on the Republicans’ agenda and sales pitch. INLANDER: If you had the power to pass or repeal any one law in Congress, what would it be? McMORRIS RODGERS: It would be to pass a balanced budget amendment. I believe it’s important, no matter which [party] is in power, that the federal government is living within its means. The only way I see that happening is for there to be a law that forces Congress to make tough decisions. Obama has said he’s willing to cut spending. Are House Republicans willing to compromise by raising revenue? On Jan. 1, President Obama got $600 billion in revenue. That was something House Republicans fought against. But it ultimately passed. And it was a missed opportunity for us to get a more comprehensive approach to reducing deficits and cutting spending. Where would you like to see spending cut? One in my mind would be repealing some of the president’s health care law. House Majority Leader Eric Cantor recently tried to pass a bill to shift money into “high-risk pools” to help those with pre-existing conditions get insurance. But that bill was pulled after opposition from conservatives like Idaho’s Raul Labrador. Did you agree more with Labrador or Cantor? I was in favor of the legislation. I still believe we’ll be able to get the votes. We had a number of members out of town for the George W. Bush Library dedication. We need to make sure that those [with] pre-existing conditions can get health insurance. Some question how Republicans can pass their own health care reforms if they can’t even get their own party to agree. You were a part of Mitt Romney’s campaign. Why wasn’t he successful? There’s a long list of things that went wrong in that campaign. But there are some important lessons for the Republicans to learn. Part of it is the importance of connecting with voters, in helping people to understand who we are as Republicans. And talking, not just from the head — uttering facts and figures — but speaking from the heart. So is it just rhetoric and marketing? Or do Republican policies need to be changed? I think it’s both. I don’t believe we need to be moderate. But I do believe we need to modernize. We need to look at our agenda, to make sure it’s one in which people can see clearly how it impacts people, their families and their opportunities. I think it is important that we are focusing on solutions, and not just talking about what we are against, but what we are for. I’m involved in an anti-poverty initiative, for example, addressing the most vulnerable and needy in this country. You’ve attempted to rebut the idea that the GOP is waging a “War on Women.” How can Republicans fix that perception? It’s mostly how we talk about issues. You look at 2010, and we won the women’s vote. Women are concerned with financial security, they’re concerned about how they’re going to make ends meet, and how they’re going to pay the bills. We’re working on some legislation right now, the Working Families Flexibility Act. This is for hourly employees, so that if they work overtime they can take it in time off, rather than just in compensation. It’s flexibility over your work schedule. You have a son with Down syndrome. What, if anything, should the government do to help children with special needs, and their parents? I’m involved now in bipartisan efforts to address employment barriers for those with disabilities. You look at the high number of people with disabilities who are unemployed. Sixty or 70 percent are unemployed. The system keeps so many with disabilities in poverty and dependent. Through early intervention and education, we have more and more who want to live independently and want to work. That’s the next frontier for those with disabilities — for the government to make that possible. Looking at health care, and the implementation of the president’s bill.